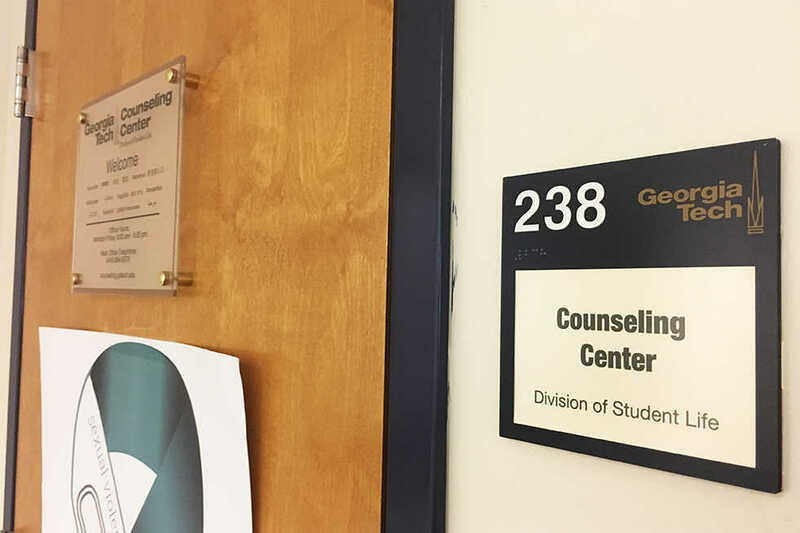 The Georgia Tech Counseling Center (GTCC) is expanding the services it offers with the introduction of three new initiatives funded with $53,392 from the SGA’s Joint Allocations Committee (JAC). With this expansion, it is now possible to reach counseling services from a broader range of methods and times. The new initiatives include an interactive self help app, an after-hours mental health services phone line, and the use of biofeedback techniques in counseling sessions. The GTCC has purchased a campus wide subscription to the WellTrack mobile app, an application that helps users to regulate stress, anxiety and depression. It can be used in conjunction with individual or group therapy. The application will aggregate some user data in order to gauge how effectively it is being used, so as to offer tips on how it could be used better. community can use their Tech provided email address in order to register for the WellTrack service and gain full access to the application. The after-hours mental health services phone line will be setup in partnership with ProtoCall, which is “the nation’s leading provider of third-party telephonic behavioral health services,” according to GTCC publications. The new ProtoCall service will ensure that there is around the clock access to important aid for those in crisis. To reach the line, members of the Tech community can call the GTCC phone number at 404-894-2575 and select Option 1 to speak with an after-hours counselor. Biofeedback, a therapeutic technique where vital signals such as heart rate or blood pressure are measured and shown to patients to help them to understand and control their body’s responses, is also being incorporated into individual or group therapies. Biofeedback is practiced by institutions such as Mayo Clinic, and according to a study published by the National Center for Biotechnology Information, it is a reputable practice that has demonstrated an ability to improve therapeutic outcomes in patients suffering from a range of ailments, including PTSD and depression. The funding for this expansion of services has been provided through the Joint Allocations Committee, a committee of SGA that was created to address mental health resources at Tech in the wake of the shooting death of Scout Schultz in Sept. 2017. The JAC is in charge of apportioning $1 million, half given by SGA and the other half by the administration, to programs as they see fit. Last spring, the GTCC applied for JAC funding this spring after SGA reached out to the center to see if they wanted to put forth bills for funding proposals. As Tech’s main mental health resource center, the GTCC has submitted some of the most impactful JAC bills, and SGA members worked with Dr. Bowers in writing the bills’ specific language. “Dr. Bowers primarily worked with one member of the committee to get each proposal in the format for bill submission and to iron out some aspects of the proposal itself,” said Andrew Cox, president of Graduate Student Government. The GTCC is not the only campus organization to have received funding for programs from the JAC. Thus far the committee has approved five other apportionments of funds, including for the intercollegiate mental health conference that will be held in the spring of the coming year, and a set of swings to be installed on campus. The GTCC is also in the process of applying for more funds from the JAC for initiatives such as the use of weighted blankets in counseling. For all members of the campus community, Dr. Bowers advises interested students to download the WellTrack application and see whether it fits their needs.